The Lechner Group, Ltd. REALTORS® will represent your interests in the acquisition or sale of Commercial and Residential properties and in subsequent operations and sale transactions. The Lechner Group, Ltd. provides financial and investment property analysis for Commercial Leasing, Rental Investment Operations and related Business Brokerage services and diligence. 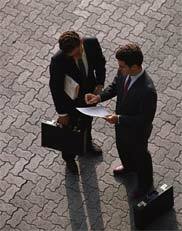 The Law Office provides related legal services.